Haripriya Suraj is a Reiki Master, Angel Healer, and Spiritual Teacher. She was drawn to Reiki right from her childhood and Reiki went on to become part of her lifeâ€™s purpose. 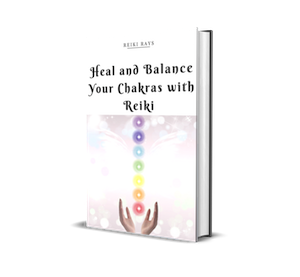 Reiki is her constant companion from which she derives peace and contentment. She is also deeply connected with the angels, with Angel Healing being an integral part of her Reiki practice. After reaping the fruits of Reiki practice in her life, she was inspired to spread the joy of Reiki and the light of the Angels. Haripriya offers courses in Reiki and Angel Healing as well as distance healing services. She resides in Bangalore, India. Reach Haripriya at angelhealingbangalore@gmail.com and Angel Light on Facebook. Happy to know it helped ðŸ™‚ Thank you Jenny. Namaste. Did the meditation today..recommended many people its very effective and your voice is very powerful. I have a request can you please send a similar meditation on third eye activation. Will certainly keep your request in mind. Soo soo beautiful really loved this meditation such a angelic voice u have Haripriya ji…angelic love n light..